You are now offered a self-challenging, experience-savoring and differences-creating registration form. Would you like to grasp this chance? 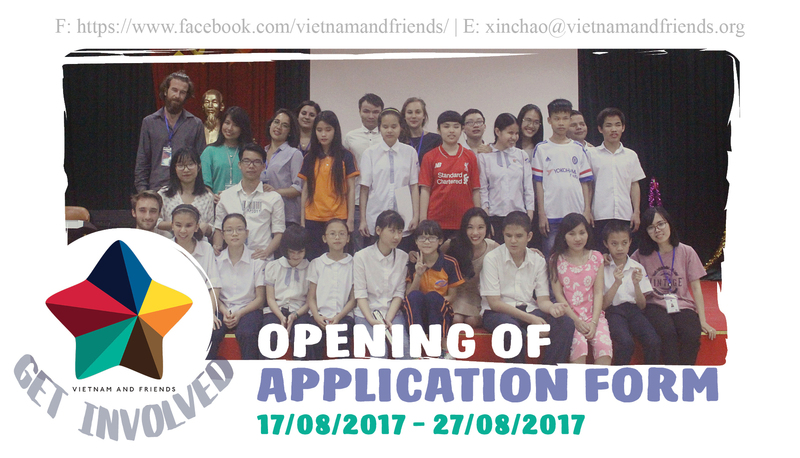 Become part of Vietnam and friends now! Teaching English for Visually Impaired People (TE). For TE: Nguyen Dinh Chieu School – 21 Lac Trung street - Hai Ba Trung district - Hanoi. For TE: (12:45 – 13:45) | Monday – Thursday. *Note: Every volunteer is required to participate in at least two sessions per week. 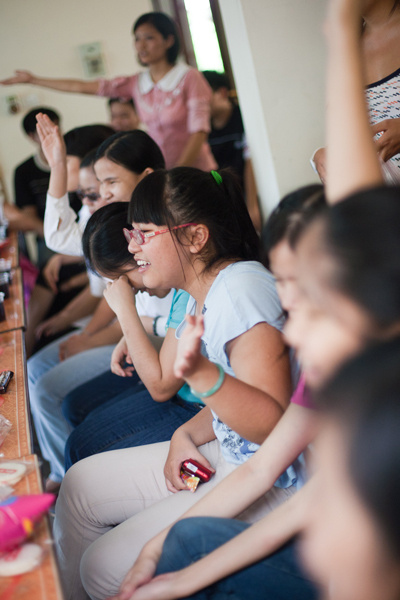 This promises to not be your average teaching experience as our visually-impaired students are always full of surprise! Teach English to visually impaired students as a teacher yourself and/or a teaching assistant for International Volunteers. Supporting side event of VAF. A job that will test your patience, meticulousness and hand dexterity. Making tactile English, Math teaching materials and Geographical maps. Design and develop other classroom supplies for visually impaired students. Let’s express your skills on communication fields and creativeness with your designing work! Designing promotional materials (event posters, invitation cards, etc. ), photographing, filming, etc. Supporting side events of VAF. Responsible, willing to adopt new knowledge. Commit to actively participate in VAF’s project for at least 80 hours. For TE: good commands of English and good English teaching methods (preferred but not required), patience, and understanding. For MTM: interest in arts and crafts, creativity, meticulosity. For MC: familiarity with social media, good writing skills, strategic mind, and experience in MC (preferred but not required). Necessary skills for working with visually impaired students, including Teaching, Orientation and Mobility and Braille. Other media and communication skills. 2. Have the chance to be part of a great team, enhance the ability to operate in a professional and multi-cultural environment. 4. Receive a qualification certificate as evidence of their hard work and devotion. Now that you know what position(s) you want to be in, your next step is to send in your application. Your first step is to fill in this application form. It is a straight-forward form which will not take too much time. We will call you for an interview if we feel like you are a good fit for the organization. 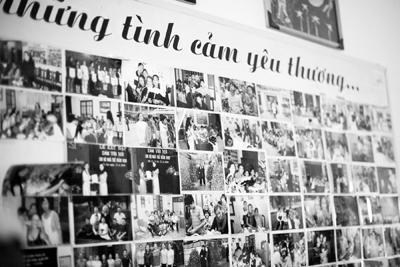 Attending an interview at 44 Lac Trung Street, Hanoi is required if you want to be a volunteer of VAF.